She and her backers hope that message can distinguish her in a crowded Democratic field and help her move past a controversy surrounding her past claims to Native American heritage. Warren announced her campaign in her home state at a mill site where factory workers went on strike in the early 20th century — a fitting forum for the longtime consumer advocate to advance her platform. She was endorsed and introduced Saturday by Massachusetts Democrats Sen. Ed Markey and Rep. Joe Kennedy III. Kennedy’s backing could prove valuable for Warren, given his status as a rising young Democratic star and his friendship with one of her potential 2020 rivals, former Texas Democratic Rep. Beto O’Rourke. Warren enters the race as one of the party’s most recognizable figures. She has spent the past decade in the national spotlight, first emerging as a consumer activist during the financial crisis. She later led the congressional panel that oversaw the 2008 bailout of the financial industry. She has $11 million left over from her commanding 2018 Senate re-election victory that can be used on her presidential run.Still, Warren must compete against other popular Democrats who will be able to raise substantial money. A recent CNN poll found that fewer Democrats said they would be very likely to support Warren than those who said the same of former Vice President Joe Biden, Sen. Kamala Harris of California and Sanders. Still, about as many Democrats said they would be at least somewhat likely to support Warren as those who said the same of Harris or Sanders. That challenge was on display this weekend as Democratic presidential contenders — or those considering a run — fanned out across the crucial early voting states. New Jersey Sen. Cory Booker was in Iowa, while New York Sen. Kirsten Gillibrand was visiting South Carolina. Another possible presidential rival, Ohio Sen. Sherrod Brown, planned to be in New Hampshire on Saturday. Sen. Amy Klobuchar is announcing her bid Sunday in her home state of Minnesota. Warren’s launch comes at a challenging moment for the 69-year-old senator. She has apologized twice over the past two weeks for claiming Native American identity on multiple occasions early in her career. That claim has created fodder for Republicans and could overshadow her campaign. 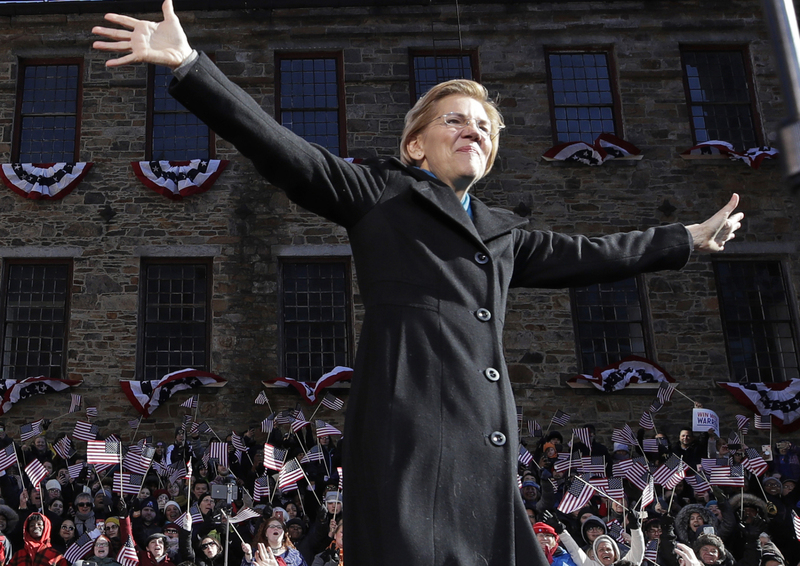 Closing the gap between the country’s rich and poor — a pursuit of Warren’s that dates back to her time as a Harvard law professor — is set to be a dominant theme of her campaign. She recently unveiled a proposal that pushes the frontier to a new place: directly taxing the very rich. Her new plan would impose an annual 2 percent levy on wealth above $50 million, rising to 3 percent on assets above $1 billion. Warren said she would put the revenue raised by a tax on the ultrawealthy toward programs to cut student debt and expand access to child care. Another threat could come from a fellow senator who has yet to announce his own plans for 2020: Sanders. They are both leaders of the Democrats’ liberal vanguard, but some Sanders supporters are still upset that Warren didn’t support him during his 2016 primary run against Hillary Clinton. And as a senator from Vermont who won the New Hampshire primary, he would likely go into the Granite State as an early favorite if he decided to run again. Despite their similarities, Warren and Sanders have taken somewhat divergent paths in recent months as they prepare for the primary. 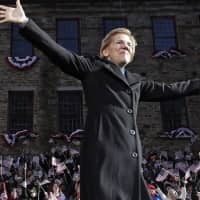 After proposing an “ultramillionaire tax” that would hit the wealthiest 75,000 households in America, Warren told Bloomberg News last week that she continues to “believe in capitalism” but wants to see stricter rules to prevent gaming the system — a marked contrast with the self-described democratic socialism of Sanders.